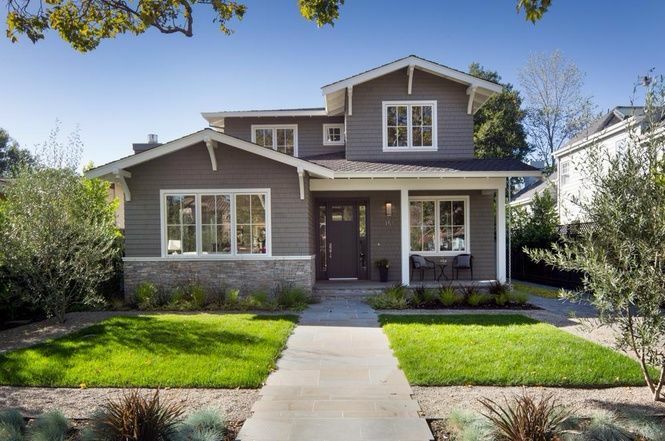 Located in Old Palo Alto and listed on Redfin, this stunning contemporary Craftsman is set on a beautifully landscaped 7,500-square-foot piece of land. The home itself is two stories tall, and it measures 4,686 square feet. The exterior of the home has plenty of curb appeal, with paned windows, a large front porch, and visible knee braces. The front door has been painted a slightly darker shade of blue than the rest of the home, which makes for a beautiful contrast. Just inside the front door, the living room boasts plenty of paned windows and a cozy fireplace. 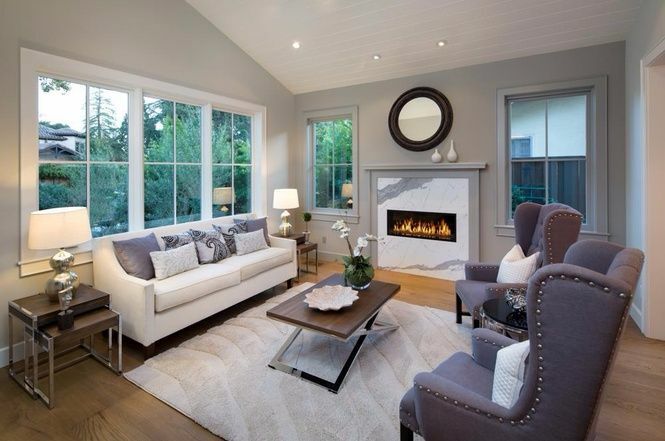 Soaring ceilings make the room feel nice and spacious, and hardwood floors infuse the room with a bit of warmth. The formal dining room has cream walls with white trim and a row of windows along the left-hand side. 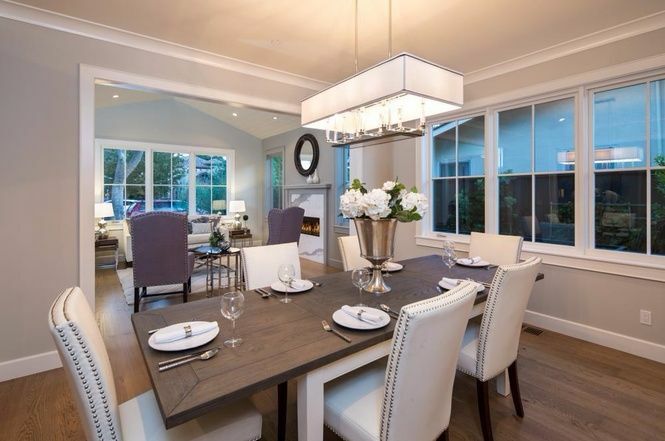 The unique light fixture above the table gives the room plenty of visual appeal. 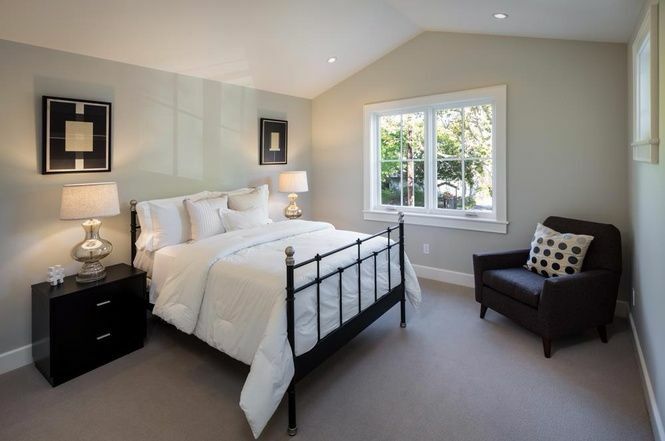 This large bedroom is made to feel even larger by lofty cathedral ceilings, Two frosted glass doors on the right lead outside, and the small sitting area in the left corner takes full advantage of the lovely paned windows. Here we have a second bedroom, which is a bit smaller but features the same cathedral ceiling and paned windows as the larger bedroom. 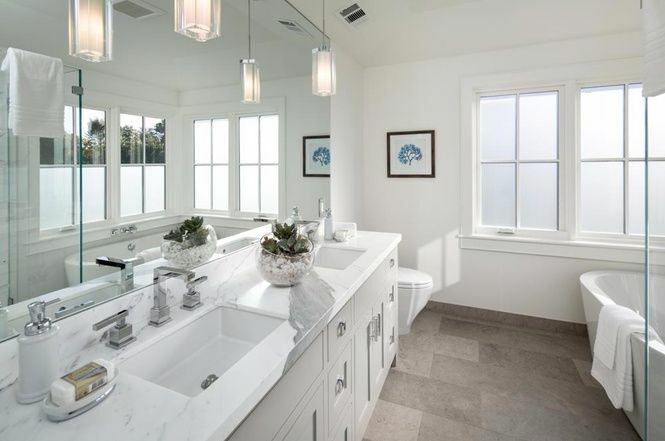 This luxurious bathroom includes his and hers sinks, a bathtub, and a shower. 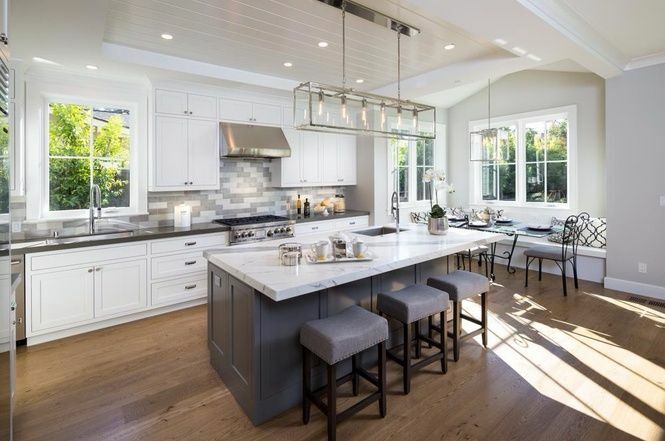 The countertops are marble, and the room is all done in white. 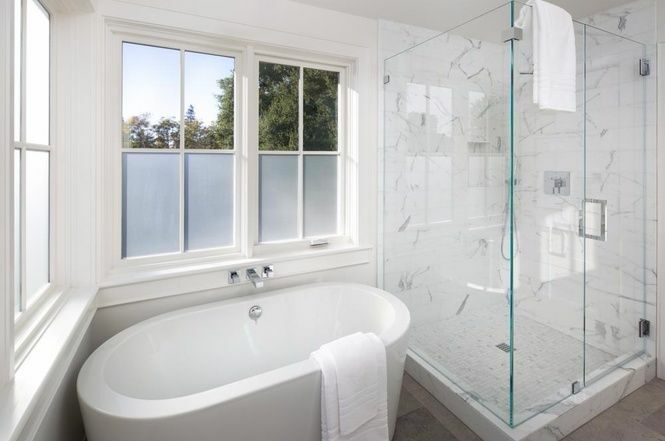 From this angle, you can see that the large bathtub in the corner is surrounded by charming paned windows. It looks like the perfect place for a relaxing bath! 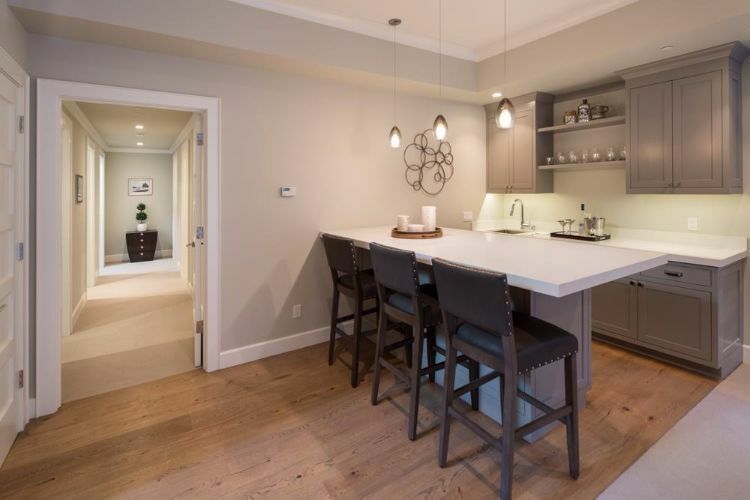 Downstairs, this elegant wet bar makes entertaining easy. It has plenty of cupboard and counter space and the fact that it includes an eating bar is especially fantastic! 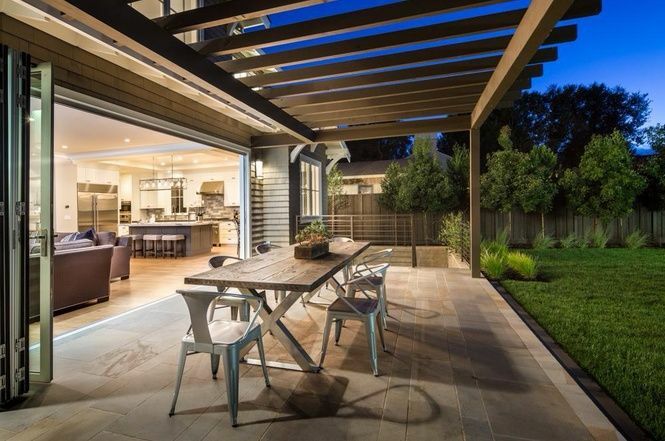 The spacious back patio opens right into the backyard, and it has plenty of space for a large picnic table. A long trellis over the whole patio adds plenty of visual appeal. 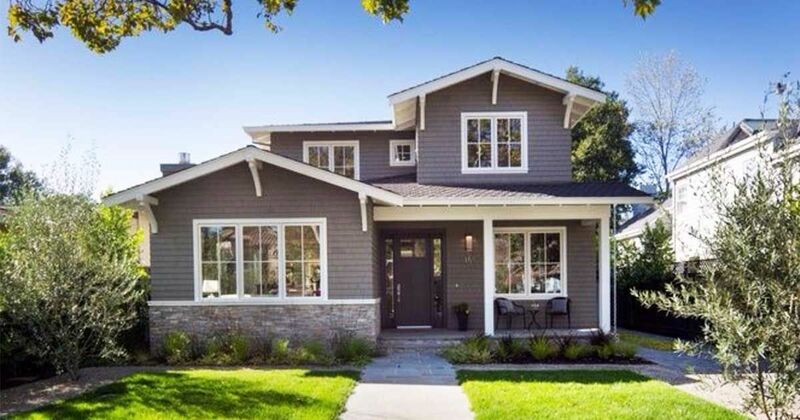 Do you love this elegant home as much as we do? Let us know in the comments on Facebook, and be sure to share this article with your friends if you loved it!